The most awaited Android firmware and software for Android smartphones and tablets has been officially released by Google i.e. Android 7.0 Nougat (Build NRD90M). The latest Full and Final Android 7.0 Nougat Version is now available for instant over-the-air OTA update / upgrade / installation / flashing on any Android-powered devices for free. Currently, Android users can get the stable and publicly released Android Nougat 7.0 updates for eligible Nexus devices i.e. Nexus 5X, Nexus 6P, Nexus 6, Nexus 9, Nexus Player and Pixel C. Whereas, old nexus models and phones i.e. Nexus 5 and Nexus 7 (2013) are not supported. 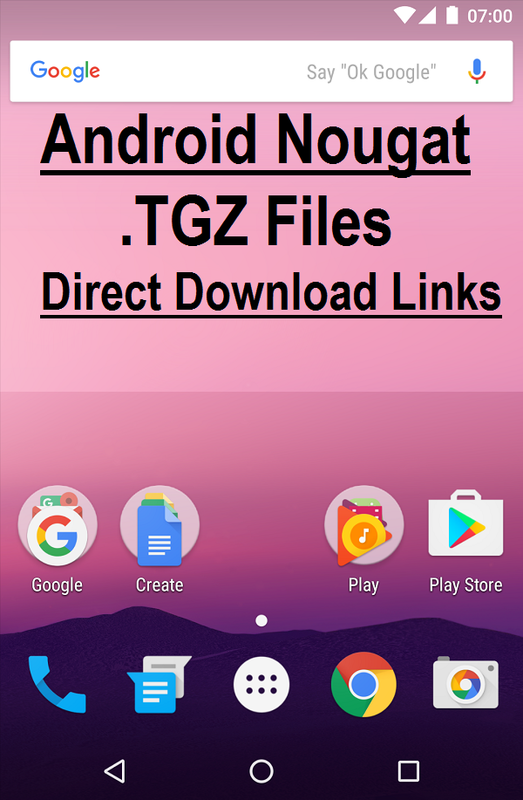 The official Direct Download Links of Android 7.0 Nougat (NRD90M) .TGZ Factory Image Files for Manual Installation is also available below. The changelog of Android 7.0 Nougat includes addition of several new features and functionalities changes as well as fixes and improvements for security, performance and stability as mentioned in image below. As of now, Android 7.0 Nougat Update Final Version .TGZ Image Files are only officially available for Nexus smartphones and tablets, but soon all major Android device makers i.e. Samsung, Sony, LG, HTC, Motorola, Huawei, Lenovo, Xiaomi, Acer, Asus, Oppo, OnePlus, Meizu, Alcatel, ZTE, Toshiba, Vodafone, Xolo, Lava, Micromax, QMobile, Voice, Gionee, General Mobile (Android-One) etc. will released the OTA Update for respective and eligible Android phones. Below are the direct links to download Android 7.0 Nougat for Nexus 6P, Nexus 5X, Nexus 9, Nexus 6, Nexus Player and Pixel C devices.